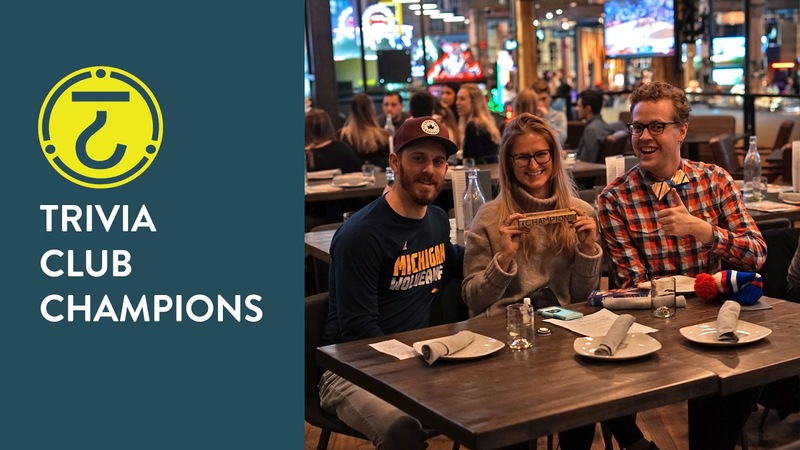 Tuesday night Trivia Club at The Rec Room Roundhouse saw a wide selection of competitive friends, and multiple birthday parties, find their way to Toronto’s Greatest Game Show! Would our Champions from last week repeat or would a new team rise to Golden VHS victory at our fifty-seventh event? The GOLDEN VHS CHAMPS on the night with fifty points, were I NEED AN ADULT! Runners-up were YAMS just four points behind! Congrats to I Need An Adult, for their gold on their first attempt, and thank you to everyone who came out to compete at The Rec Room in Toronto! We will see you again NEXT TUESDAY in the Three10 restaurant for more Trivia Club on November 27th!